Here's a further developement of the Ally race bike. 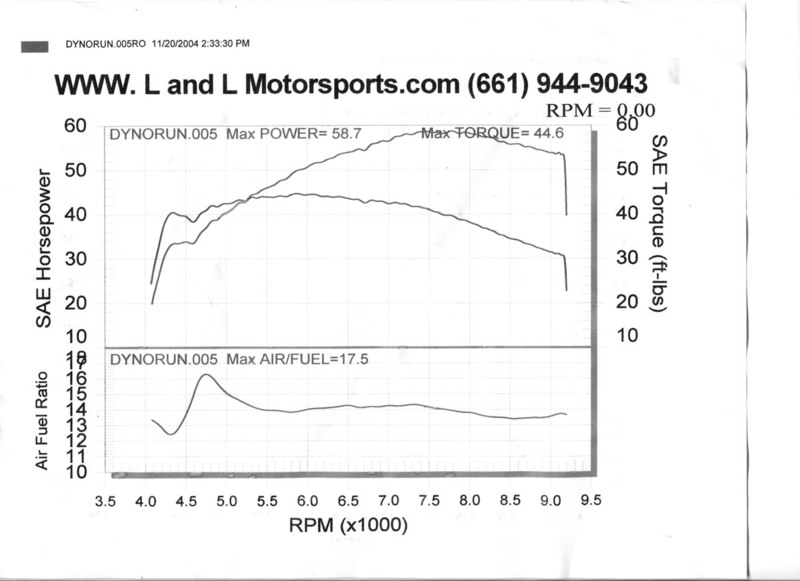 This is the same engine that was featured in the previous dyno run. I added BCM ~12.5:1 pistons and had some minor porting and a solid valve job done by my man Dan Paramore. Power is up more than 10%, and the bike feels very strong. Note that those BCM pistons should probably be de-tuned by adding base gaskets or cutting the domes down if you're going to use 'em for the street. I initially tried runing the bike on 91 Octane pump gas, but it knocked like crazy, so 110 octane race fuel was substituted. That worked much better.